Human growth hormone is a hormone that is made by the body naturally, however, the HGH that is given by injection is synthetic (recombinant). The possibility of synthetic hormone replacement therapy increasing the risk of cancer has always been a subject of concern and controversy. For instance, in some studies the use of synthetic estrogen without progesterone has shown an increased incidence of endometrial cancer in postmenopausal women, but other studies have disputed this conclusion. Can HGH Increase the Risk of Cancer? There have been some experiments that seemed to support the idea that synthetic HGH injections might cause an increase in cancer cell production. Very large doses of the HGH injections induced cancer in laboratory animals. Of course too much of any hormone is not healthy. Two studies showed that men with higher than normal IGF-1 levels had an increased risk for cancer. IGF-1 levels reflect the amount of HGH in the body. Regarding the results of these two studies, Dr. Michael Anchors, a physician and biochemist at Harvard comments that we know that IGF-1 decreases with age so if high IGF-1 levels are associated with prostate cancer shouldn't the risk for prostate cancer decrease with aging rather than increase? He is correct, in fact, 5 other studies on IGF-1 and prostate cancer showed that there was no connection between IGF-1 and prostate cancer. One study showed what appeared to be an increase in the incidence of leukemia in Japanese children being treated with synthetic HGH injections. The problem with this study was the fact that it included children who had already been diagnosed with leukemia prior to their HGH therapy. When these children were removed from the study, there was no increase in the incidence of cancer compared to the general population. HGH injection therapy also did not increase the recurrence rate of tumors in human growth hormone deficient children after their tumors had been irradiated. The pharmaceutical company Pharmacia UpJohn has stated that in the culture tests they have done there has not been any evidence of cancer cell mutation, which is the first step of cancer development. Can HGH Help Prevent Cancer? Some researchers believe HGH restoration actually gives the body a protective factor and helps to prevent cancer. 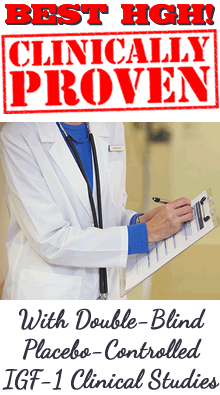 Dr. Edmund Chein and Dr. L. Cass Terry did a study that involved 800 test subjects. Their test subjects were treated with synthetic HGH injection therapy, yet there were no reported cases of cancer. There have also been no reports of developing cancer among any of the patients that have been treated at their clinic, which is significant. Skeptics have been concerned that since human growth hormone therapy helps normal cells to divide more rapidly, it may also cause cancer cells to divide more rapidly. Dr. Terry believes that considering the fact that their studies were done with 800 people over the age of 40, some of these people should have gotten cancer, just based on the normal rate of occurrence in the over 40 population. Since none of the 800 patients developed cancer, it is possible that the HGH gave these patients some type of protection. Also, the levels of prostate specific antigen (PSA), a marker of prostate problems including cancer, did not increase among any of Dr. Terry and Dr. Chein's male patients. In one case study it appeared that HGH injection therapy actually reversed the previously diagnosed prostate cancer in one patient. This patient originally had a PSA level in the 50.0 to 60.0 range, (normal is 0.0 to 4.0). Men with cancer usually have PSA levels of 10.0 to 20.0. This patient's diagnosis was cancer of the prostate, and was confirmed with needle biopsy. On the patient's urgency Dr. Chein treated him with HGH injections, along with DHEA and melatonin. The patient's PSA levels dropped into the range of 5.0 to 7.0. Dr. Terry called it mind boggling. He admitted he didn't know exactly what caused the apparent remission, however, Dr. Chein speculated that the human growth hormone stimulated the immune system, including the natural cancer killer cells, which effectively destroyed the cancer cells. In animal and human studies there is a wealth of data showing that human growth hormone revives and rejuvenates the immune system, including the cells that recognize and fight cancer cells. Concerned About Risks But Still Want the Benefits of HGH? "hormone replacement therapy with synthetic HGH injections is still new, we cannot know the long term effects." "those who are concerned about the safety and cost of synthetic injections, yet still want the numerous benefits of HGH, may consider taking products to promote the improved production of human growth hormone by their own pituitary gland." "with the way anti-aging science is advancing, injections may soon be obsolete. New sublingual (under the tongue) spray releasers are under development." If you are concerned about the safety of synthetic HGH injection therapy why not consider homeopathic HGH? The articles that speak of increased risks of cancer are referring to those who take the injections. Homeopathic HGH products help the pituitary gland to increase and balance its own naturally made growth hormone production and release. 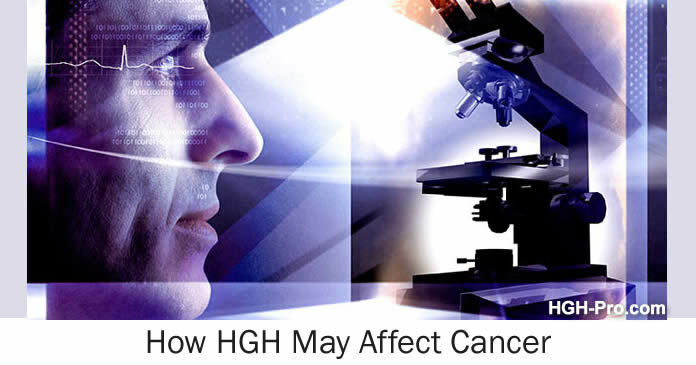 There have been no studies that suggests HGH in homeopathic form causes an increased risk for cancer. In fact it is said that in over 200 years of use homeopathic medicines have never caused harm. I personally look at it this way; when we are young our natural human growth hormone level is at its highest. During this time of youth we are at our lowest risk for cancer, as we age our HGH level decreases and our risk for cancer increases. This is why I take homeopathic HGH. PLEASE NOTE: The information provided here is not meant to be medical advice.